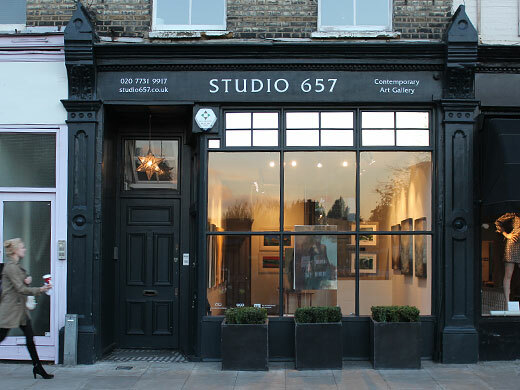 Studio 657 is perfect for displaying both contemporary and traditional works of art. A stunning exhibition gallery situated on the Fulham Road a few minutes walk from Fulham Broadway and Parsons Green tube stations. It is an excellent central location surrounded by vibrant restaurants, cafes and designer shops and the Kings Road a short walk away.